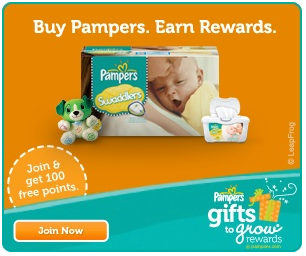 Add 5 free points to your Pampers Gifts to Grow account with code TWIT812PT6NWK12. This code expires August 9, 2012. Looking for more? Read more posts about Freebies & Pampers Gifts to Grow Points. Thanks! I added it to both my husband and my account.